At Central Pet Cremations an individual cremation involves your pet being respectfully placed in to a single chamber and cremated alone. Following the cremation ashes are carefully collected and prepared before the next cremation can commence. This ensures that the ashes you receive are entirely of your pet. We follow the APPCC code of conduct throughout the entire process. 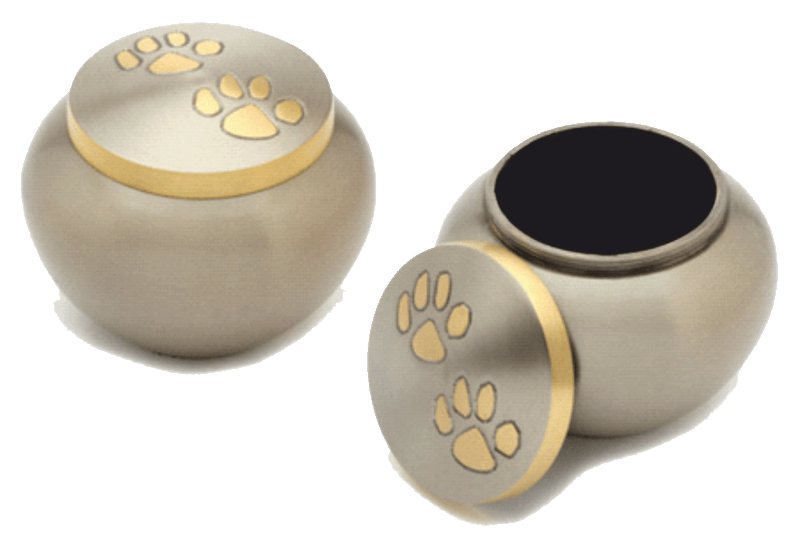 An excellent and very popular alternative if you plan on scattering your pet’s ashes. Available in three beautiful designs and suitable for ashes scattering or as keepsakes. 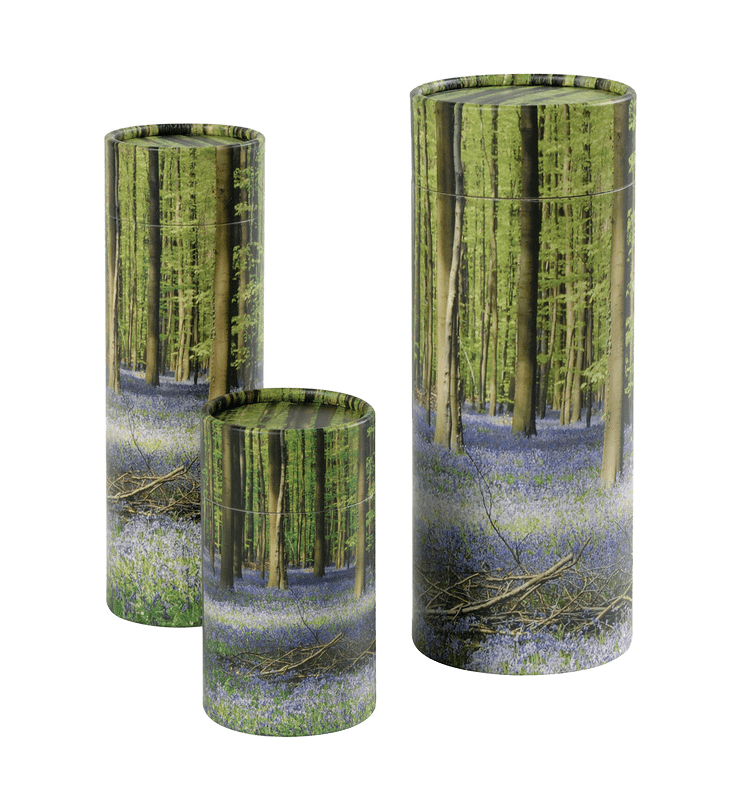 Created from over 90% recycled materials and biodegradable, they are a very eco-friendly choice. Included is a name plate for your pet’s name. 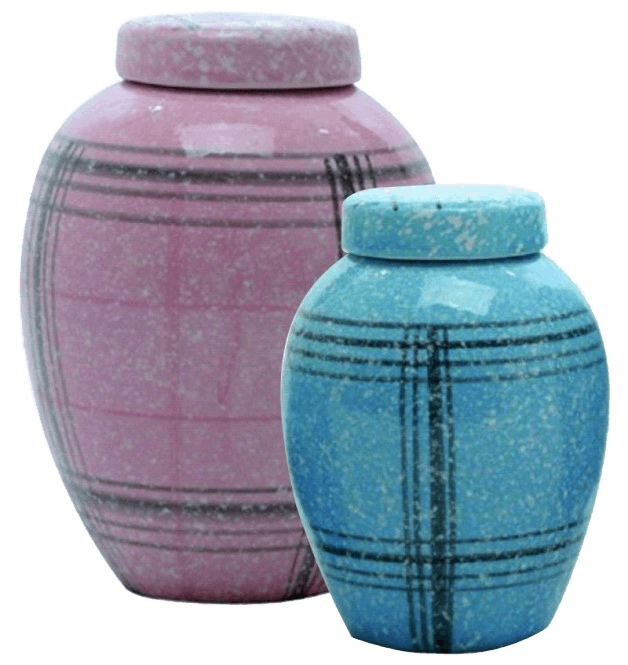 These blue and pink, hand painted, ceramic urns are a very popular choice and are available in four different sizes. Included is a nameplate with your pet’s name. The clean lines of our beautiful Arun Caskets give them a classic, yet contemporary, look which has made them one of Central Pet Cremations most enduringly popular pet ashes caskets. The Arun is a beautifully made pet cremation urn in solid ash wood in a comprehensive selection of sizes and three finishes – Natural, Mahogany and Jacobean Oak. Available in three different sizes and with a contemporary look, they are soft and elegant and are often mistaken as an ornament in the home. Included is a name plate with your pet’s name. 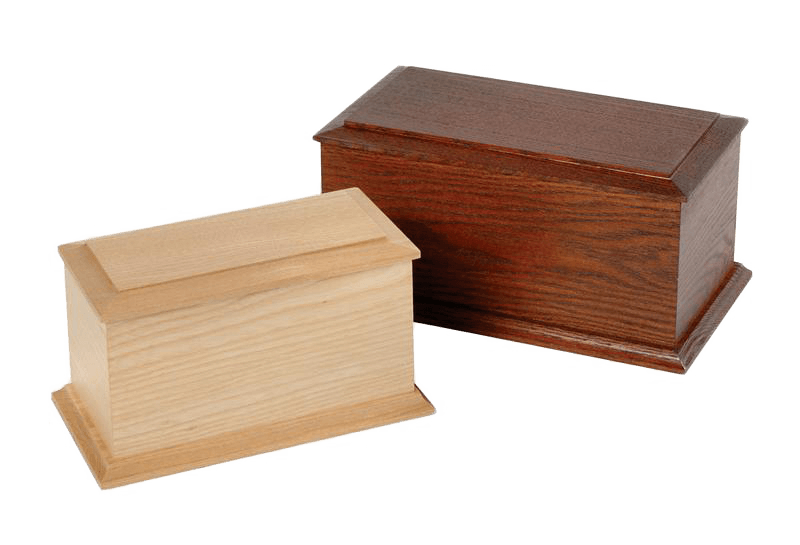 Sleeping Cat™ Caskets are one of Central Pet Cremations best loved pet ashes caskets for cats. 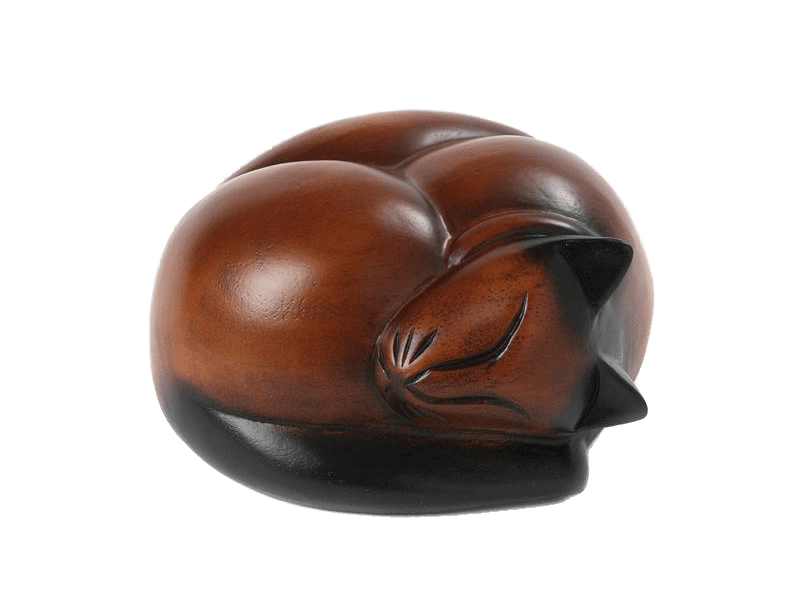 The beautiful, hand-finished carved hardwood cat figurine conceals a discreet ashes urn container in the base and provides the perfect resting place for your beloved cat. * Please note that if you cannot see a product which you love we can sit down with you with our supplier’s catalouge to find something more specific. The products above are a selection of our most popular products but there are many more we can source for you. Sometimes you change your mind or you have a family member who is moving away and wants to take a little ash with them in a keepsake product and this is where we can carefully transfer the ashes of your pet from your existing memorial product into another of your choice. Simply call us to arrange to come and see us and choose a new product or alternatively give us a call and we can chat you through the option of posting the ashes to us where we can transfer and re-post back to you.